I truly believe all Hunter based Members on every side of politics want the best for their constituents and for the Hunter region. I also believe all Novocastrians want to see a strong Hunter into the future and a revitalised Newcastle city centre. That’s why I find it so hard to believe that the NSW Minister for the arts George Souris and Member for Newcastle Tim Owen seemed to make almost no effort to secure state funding for such an obviously beneficial and economically sensible decision – the redevelopment of the Newcastle Regional Art Gallery. This was a no brainer. A win-win move. For a relatively small sum of money the NSW government had the opportunity to radically transform the cultural landscape of Newcastle and provide a massive boost to the profitability of a cultural icon and the flow on effect of boosted economic activity to the rest of the region. Sydney received $310 million in the last state budget for their cultural institutions. Newcastle was asking for a total of $7 million. That’s not much when you consider our Hunter based state owned corporations provide $629.6 million in dividend and tax payments annually to Sydney. Sydney also receives a figure close to $900 million in coal royalties from the Hunter Region. With a total of a $1.5 billion contribution from the Hunter to the state, Tim Owen and George Souris were on solid ground and had a good case to put forward for the $7 million needed for this essential work. An economic impact report produced by Prosperity Advisers Group in March 2013 shows that the construction involved in the gallery redesign would result in additional production generated in the Hunter region of $12,500,000, additional consumption generated of $7,400,000. The combined flow-on is estimated to total $19,900,000. 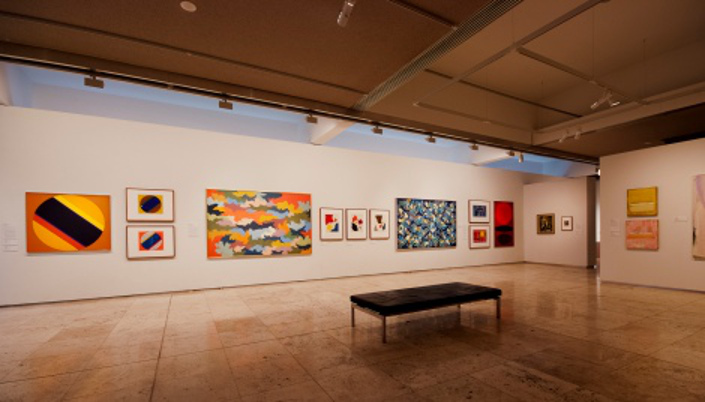 Including the construction costs, the total economic impact from the development was estimated to be $40,900,000, meaning the development of the gallery would stimulate the production of goods and services in the Hunter Region’s economy to a total value of over forty million dollars. The redevelopment would also generate additional employment, estimated at 152 jobs during the construction period. The effect of the gallery redevelopment on tourism in the Hunter is also shown to be significant with the report indicating additional tourist visits of 2,819 visitors generating additional expenditure in the region of $873,890 per annum. On top of this, additional local visits of 11,297 are estimated to generate an additional expenditure of $225,940 per annum. Cultural Commerce Consultant Richard Harling, previously manager of Retail and Publishing at the Art Gallery of New South Wales has completed a Newcastle Art Gallery Shop Trading Projection. The report, which shows the difference in projected income with a redeveloped art galley shop, reveals an increase from $44,000 to $210,000 gallery shop profits per annum. On top of the art gallery shop, the addition of a café, space for major exhibition, function hire and other redevelopment improvements would lead to a total revenue increase of $555, 967. How did the member for Newcastle, the Minister for the Arts and the Premier of NSW let such a wonderful opportunity for Newcastle be lost due to inaction? Thanks to this state inaction the council was forced to give back it’s 7 million of federal funding. It seems, unfortunately, that the battle to secure funding for this project has been lost. At least for now. The art gallery isn’t going anywhere though. Hopefully future Councils, State and Federal Governments will see the wonderful opportunity that we have in Newcastle to build on the important cultural infrastructure we’re already blessed with. Hopefully they’ll see that a thriving Art Gallery could be an important step to a thriving CBD and a revitalised Newcastle. Such a no-brainer and an absolute tragedy for Newcastle that we were used as a political plaything. I couldn’t agree more Linda.